Are you starting to pay more attention to the wrinkles across your forehead, the lines between your eyes, or your crow’s feet? If those areas are starting to bother you, Botox and Botox alternative medications might be the answer for you. Botox, Dysport and Xeomin are brand-name medications that relax the muscles that cause wrinkles of facial expression. These wrinkle relaxers are aimed at the muscles around your forehead, between your eyes and by your crow’s feet to “smooth out” wrinkles. This procedure is very safe, virtually painless, and highly effective with excellent patient satisfaction. 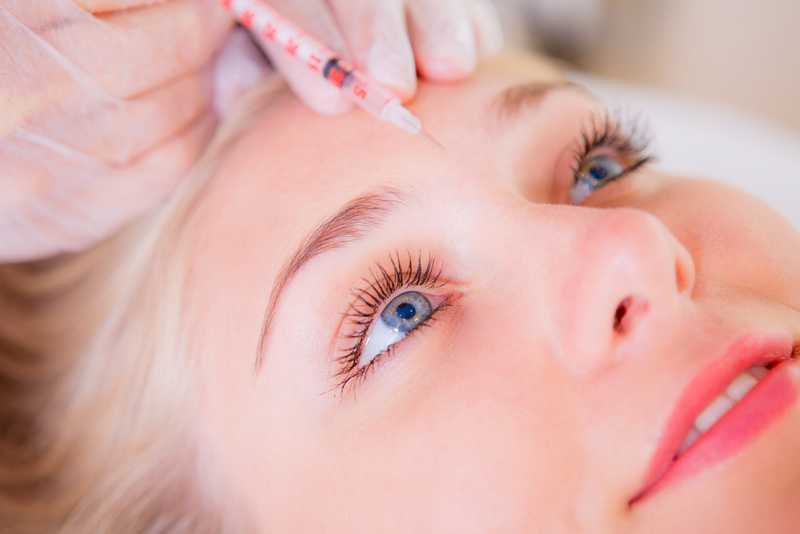 These injectable aesthetic medications are used to temporarily block the muscles that cause frown lines between the eyebrows, furrow lines on the forehead and crow’s feet around the eyes. Treatments are highly effective and patient satisfaction is typically high. Dr. Croland also performs more advanced techniques to treat: “gummy” smile, lip wrinkles, platysma bands of the neck, masseter muscles for Bruxism and TMJ, at our 2 Charlotte NC area locations. There are 3 botulinum type A wrinkle reducing products approved for use in the U.S. market; Botox, Dysport, and Xeomin. All are very similar in the way they work. Neuromodulators provide a highly effective, safe, non-surgical treatment that can dramatically reduce the appearance of the toughest wrinkles. Injections into facial muscles block the chemicals that signal muscle contraction and relaxes the overlying skin and soft tissue. Results are seen anywhere from two to seven days after injection and can last up to four months. No recovery time is needed. Dr. Croland’s patient’s experience a very high satisfaction level, and with regularly scheduled treatments the results begin to last longer, especially if treatments are done before the muscles are allowed to return to full strength. Botox Cosmetic, Xeomin and Dysport treatments take 10-15 minutes and results typically last for 3–5 months. Check out the Botox Cosmetic Photo Gallery! Men Get Botox Too! BROtox Anyone?